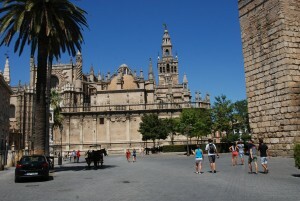 The view of Mezquita across from the river. 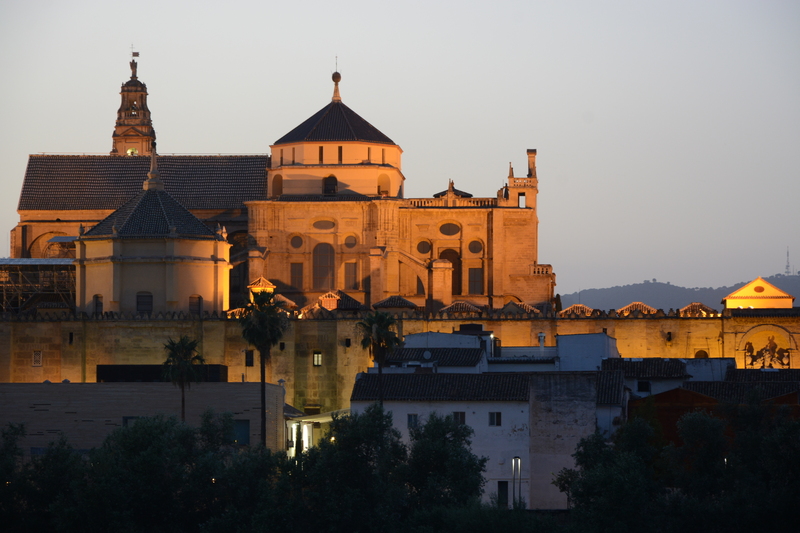 Cordoba‘s hour of greatest glory was when it became the capital of the Moorish kingdom of El-Andalus, and this was when work began on the Great Mosque, or “Mezquita”, which – after several centuries of additions and enlargements – became one of the largest in all of Islam. Abd al-Rahman (731–788), was the founder of a Muslim dynasty that ruled the greater part of Iberia for nearly three centuries (including the succeeding Caliphate of Córdoba). 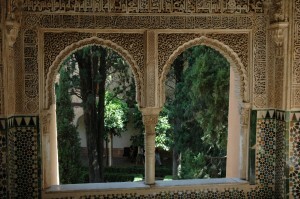 At the time it was known by the Arabs as al-Andalus. Abd al-Rahman’s establishment of a government in al-Andalus represented a branching from the rest of the Caliphate of Damascus, which had been brought under the Abbasid following the overthrow of the Umayyad dynasty from Damascus in 750. When the city was reconquered by the Christians in 1236, the new rulers of the city were so awed by its beauty that they left it standing, building their cathedral in the midst of its rows of arches and columns, and shamefully creating the extraordinary church-mosque we see today where only Christians can pray but Muslims may not hold any ceremony within the great mosque. As well as the unique mosque-cathedral, Cordoba’s treasures include the Alcazar, or Fortress, built by the Christians in 1328; the Calahorra Fort, originally built by the Arabs, which guards the Roman Bridge, on the far side of the river from the Mezquita, and the ancient Jewish Synagogue, now a museum. 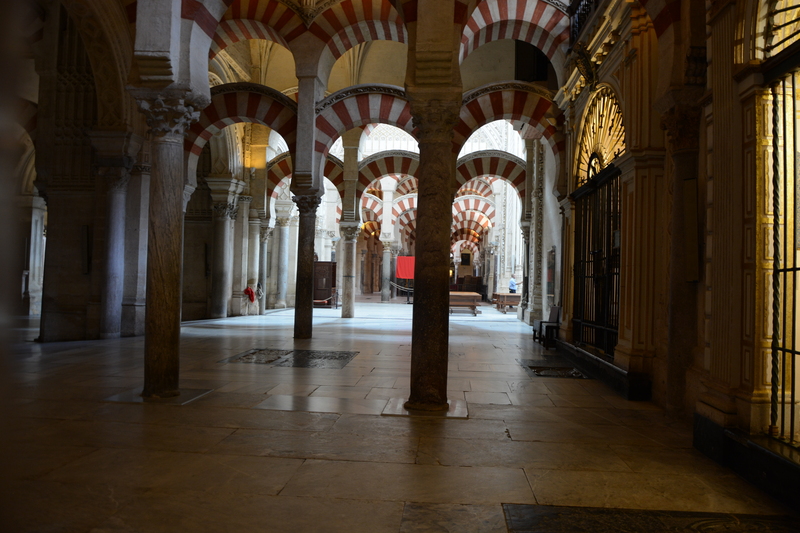 Cordoba’s medieval quarter, once the home of the Jewish community, is called “La Judería” (The Jewry), a labyrinth of winding, narrow streets, shady flower-filled courtyards and picturesque squares such as La Plaza del Potro. In early May, homeowners proudly festoon their patios with flowers to compete for the city’s “most beautiful courtyard” contest. 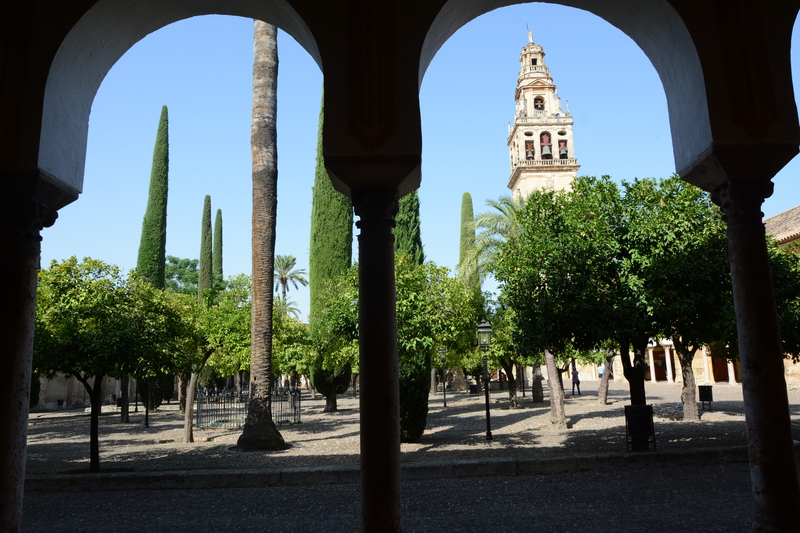 Córdoba is a great place for exploring on foot or by bicycle, staying and eating well in old buildings centred on verdant patios, diving into old wine bars, and feeling millennia of history at every turn. 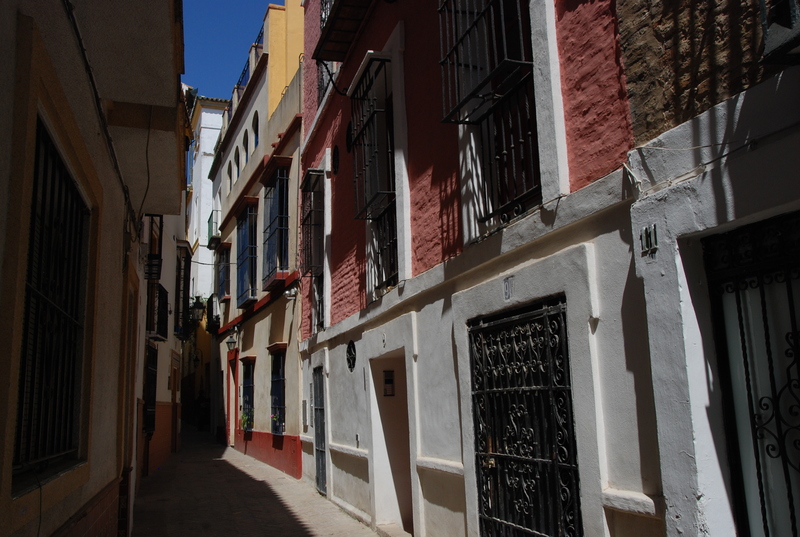 The narrow streets of the old Judería (Jewish quarter) and Muslim quarter stretch out from the great mosque like capillaries (to the northwest and northeast respectively), some clogged with tourist bric-a-brac, others delightfully peaceful. The life of the modern city focuses a little further north, around Plaza de las Tendillas, where you’ll find a more boisterous vibe with some excellent bars and restaurants. Andalucía’s major river, the Guadalquivir, flows just below the Mezquita, and the riverfront streets are home to a growing band of lively restaurants and bars making the most of the view. 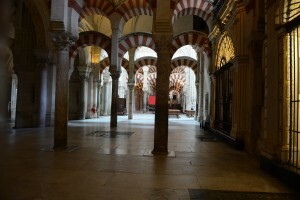 The large amount of column keep mezquita standing up. 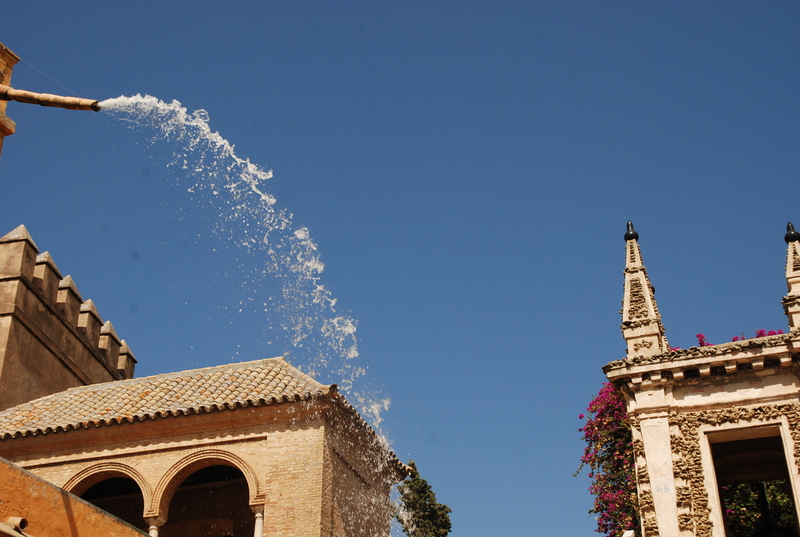 Córdoba bursts into life from mid-April to mid-June, when it stages most of its major fiestas. At this time of year the skies are blue, the temperatures are perfect and the city’s many trees, gardens and courtyards drip with foliage and blooms. September and October are also excellent weatherwise, but July and August can sizzle. 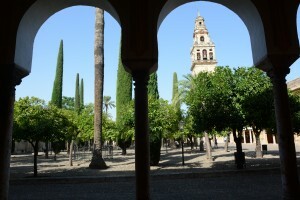 Cordoba is three hours from Cortijos Rey Fini and we highly recommend to stay there at least one night. Hotels across the river are much quieter and cheaper. In our visit we stayed in the modern hotel of Oasis which is rather cheap and clean but modern. If you prefer older looking hotels there are many of them. If you can avoid going there during the months of July/August as the heat makes it unbearable. A great video to watch is highly recommended. 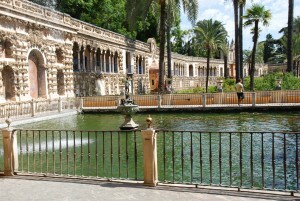 It is situated 15 miles (24 km) from Córdoba, on the left bank of the Guadalquivir. Castillo de Almodóvar del Río is a castle of Muslim origin in the town of Almodóvar del Río, Province of Córdoba, Spain. Previously a Roman fort, the current structure has Berber origins, in the year 760. 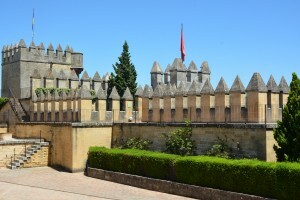 During the Middle Ages, it underwent several renovations and reconstructions. 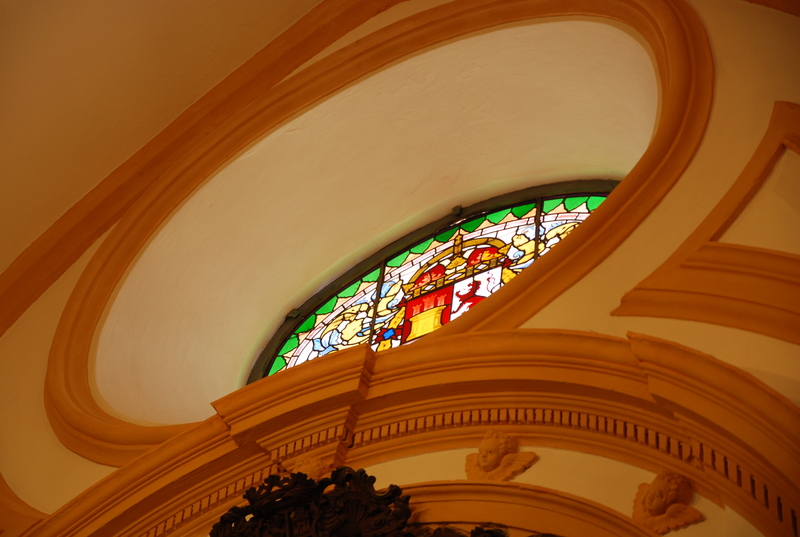 Between 1901 and 1936, it was restored by the owner Raphael Desmaissiers, 12th Count of Torravala, under the technical direction of the architect Adolfo Fernández Casanova. 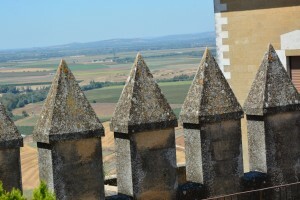 The most important towers are the Cuadrada, the Redonda, and the Homenaje. 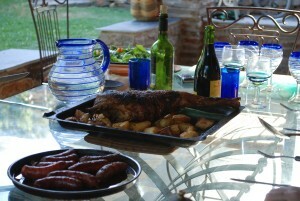 There is a charge of €3.00 per person. Just below the castle there is a very good restaurant. open all day from 9 am to 6 pm. Medinaal-Zahra, the sumptuous palace-city built by Caliph Abd al-Rahman III in the 10th century. Medinaal-Zahra, the sumptuous palace-city built by Caliph Abd al-Rahman III in the 10th century. 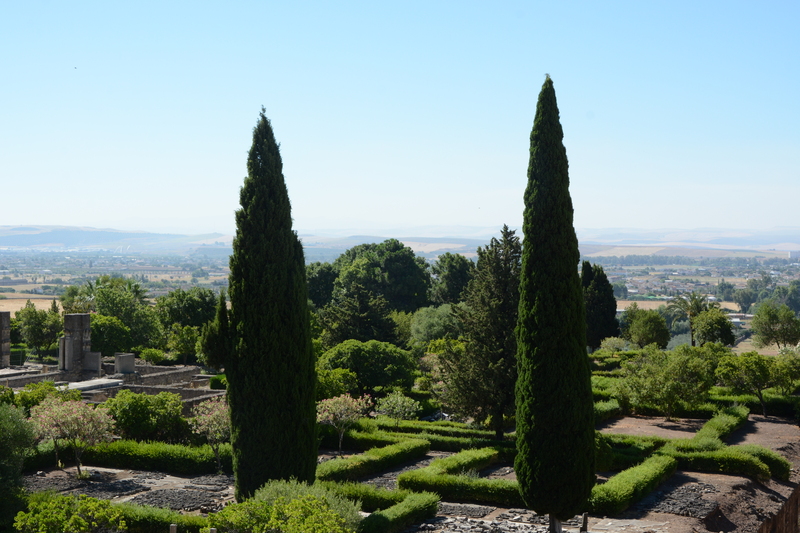 The complex spills down a hillside with the caliph’s palace (the area you visit today) on the highest levels overlooking what were gardens and open fields. The residential areas (still unexcavated) were set away to each side. A fascinating modern museum has been installed below the site. 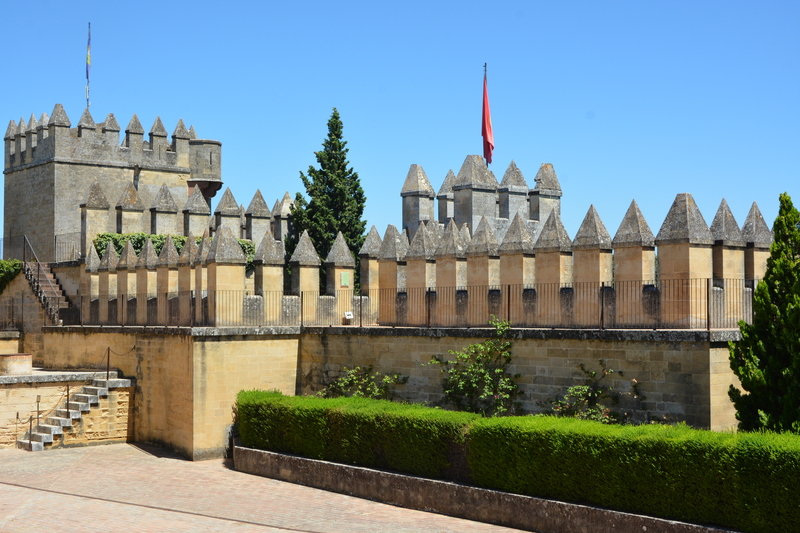 Legend has it that Abd al-Rahman III built Madinat al-Zahra for his favourite wife, Az-Zahra. Dismayed by her homesickness and yearnings for the snowy mountains of Syria, he surrounded his new city with almond and cherry trees, replacing snowflakes with fluffy white blossoms. More realistically, it was probably Abd al-Rahman’s rivalry with the Fatimid dynasty in North Africa that drove him to declare his caliphate in 929 and construct, as caliphs were wont to do, a new capital. Building started in 940 and chroniclers record some staggering construction statistics: 10,000 labourers set 6000 stone blocks a day, with outer walls stretching 1518m east to west and 745m north to south. other argue that The main reason for its construction was politico-ideological: the dignity of the Caliph required the establishment of a new city, a symbol of his power, imitating other Eastern Caliphates. Above all, it demonstrated his superiority over his great rivals, the Fatimids of Ifriqiya in Northern Africa, as well as the Abbasid Caliphs in Baghdad. 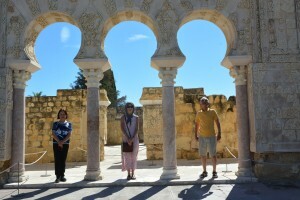 Legend also says it was built as a tribute to the favourite of the Caliph: Azahara. one of the many The archway in Medinaal-Zahra. It is almost inconceivable to think that such a city, built over 35 years, was to last only a few more before the usurper Al-Mansur transferred government to a new palace complex of his own in 981. Then, between 1010 and 1013, Madinat al-Zahra was wrecked by Berber soldiers. During succeeding centuries its ruins were plundered repeatedly for building materials. The visitors’ route takes you down through the city’s original northern gate. Highlights of the visitable area are the grand arched Edificio Basilical Superior, which housed the main state admin offices, and the Casa de Yafar, believed to have been residence of the caliph’s prime minister. 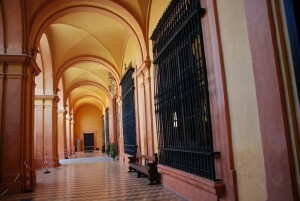 The crown jewel of the site, the royal reception hall known as the Salón de Abd al-Rahman III, was closed for restoration at the time of writing. This hall has exquisitely carved stuccowork and is said to have been decorated with gold and silver tiles, arches of ivory and ebony, and walls of multicoloured marble. The museum, 2km downhill by road from the site entrance, takes you through the history of Madinat al-Zahra, with sections on its origins, planning and construction, its inhabitants and its eventual downfall. The sections are illustrated with beautifully displayed pieces from the site and some excellent interactive displays, and complemented by flawless English translations. Drivers should leave Córdoba westward along Avenida de Medina Azahara. This feeds into the A431 road, with the turn-off to Madinat al-Zahra signposted after 6km. You must park at the museum and get tickets there for the site and the shuttle bus (lanzadera; €2.10 return) which takes you 2km up to the site. A bus to Madinat al-Zahra leaves from a stop near Córdoba’s Puerta de Almodóvar at 10.15am and 11am daily, 4.15pm Tuesday to Saturday and 11.45am Sunday (€8.50 return including the shuttle from museum to site and back). 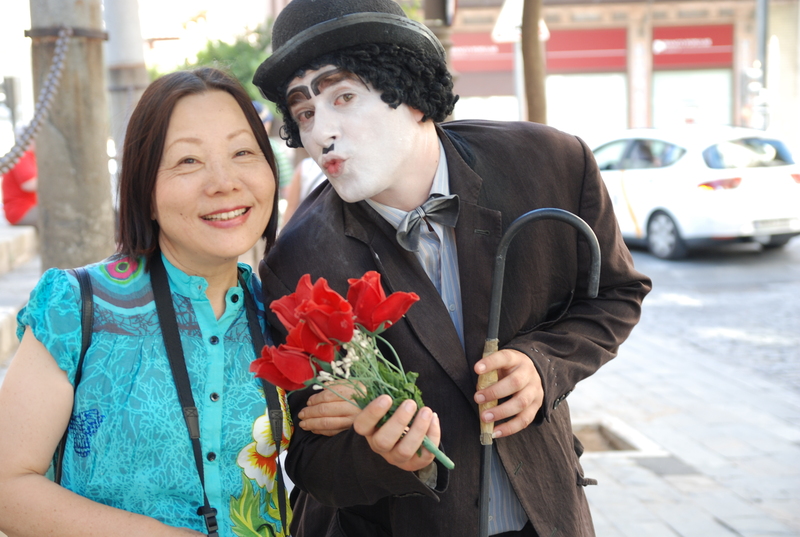 Tickets for the bus must be bought in advance at the Centro de Visitantes or at the tourist offices at the train station or Plaza de las Tendillas . Medina Al Azahara is the ruins of a vast, fortified Arab Muslim medieval palace-city built by Abd-ar-Rahman III al-Nasir, (912–961) Umayyad Caliph of Córdoba, and located on the western outskirts of Córdoba, Spain. It was an Arab Muslim medieval town and the de facto capital of al-Andalus, or Muslim Spain, as the heart of the administration and government was within its walls. Built beginning in 936-940, the city included ceremonial reception halls, mosques, administrative and government offices, gardens, a mint, workshops, barracks, residences, and baths. Water was supplied through aqueducts. Bubion is one of three mountain villages of the Barranco poqueira (the other 2 being Pampaniera and Capiliera) and it is the second of the 3 you come to when driving from Orgiva. It has various craft shops selling the locally produced rugs as well as other items and a variety of bars and restaurants. If you find somewhere to park the car and wander around on foot you will find enchanting winding streets with hidden away houses and archways and stunning views across the valley. . It is a fairly quiet village except towards the end of August when the annual fiesta takes over and there is much drinking and dancing and celebration. Ironically this is the quietest village of the three, but perhaps the nicest. 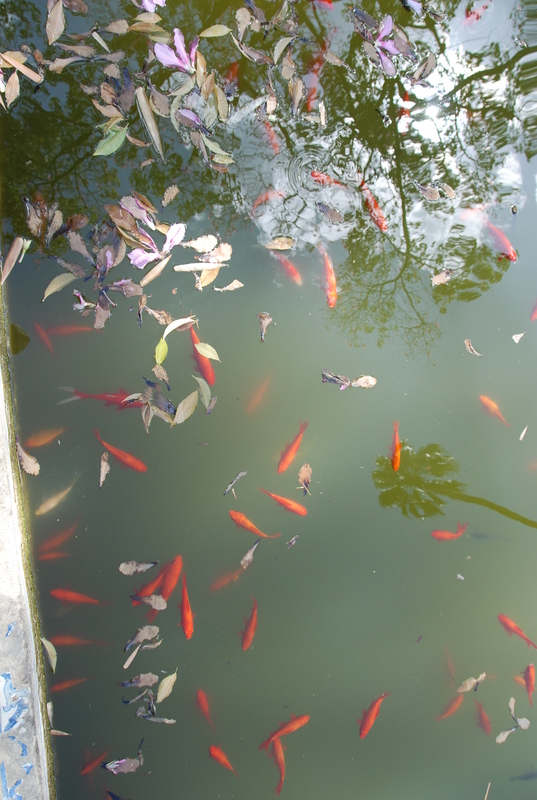 It is many hidden gems inside the narrow alleyways. 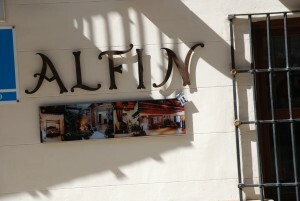 As you walk up and down the village you will discover lots of nice little hidden cafes, bars and restaurants. The best way to see the village is to park your car on the main road car park and then start walking around. If you feel energetic the walk to Pamaneira is one of the loveliest walks around. It takes about 30 minutes going down and a bit longer coming up. 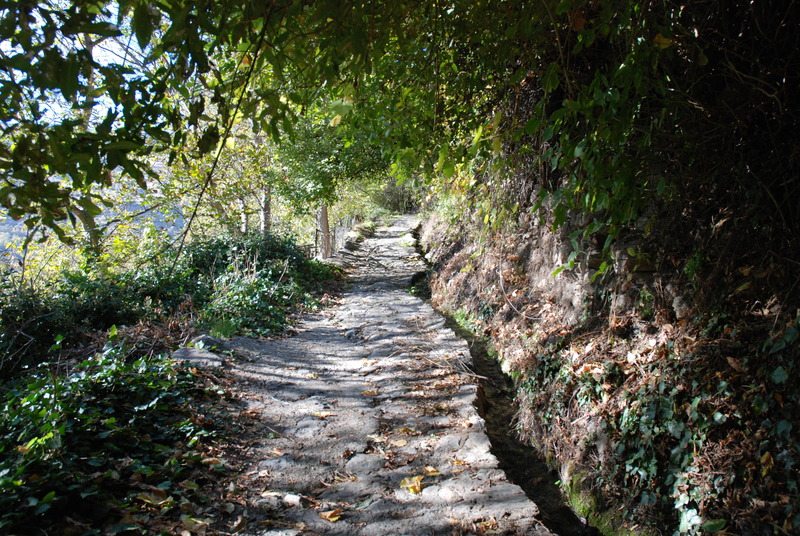 Just go down on the side of the church and you will see the signs saying “ camino Pameneira”follow this lovely roman route. You can do the same walk up to Capiliera though not as nice. Bubion as well as Pameneira and Capiliera are all on the route PR-70 known as “Sendero Pueblo de Poquiera. It is 6 am on a July day. My alarm clock on my blackberry start playing salsa tune which is far too early for it. I tried to put it to sleep but keeps coming back and each time hitting my soul deeper and deeper into a rhythm which I am not used to at that time of the morning. 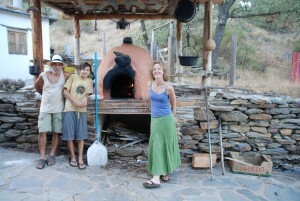 BY 7 am we get everybody together and have a short drive from Cortijos Rey Fini to Trevelez which took about 10 minutes. 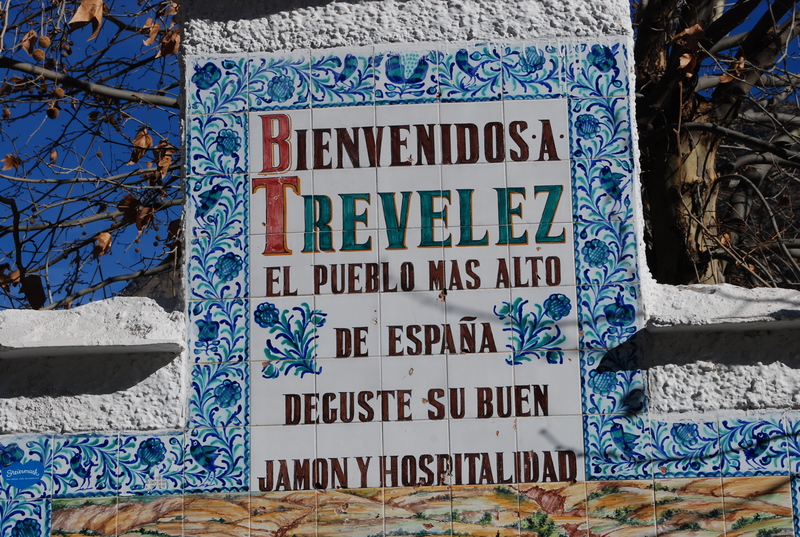 Trevelez claims to be the highest village in Spain and consists of three sections lower, middle and higher Trevelez. 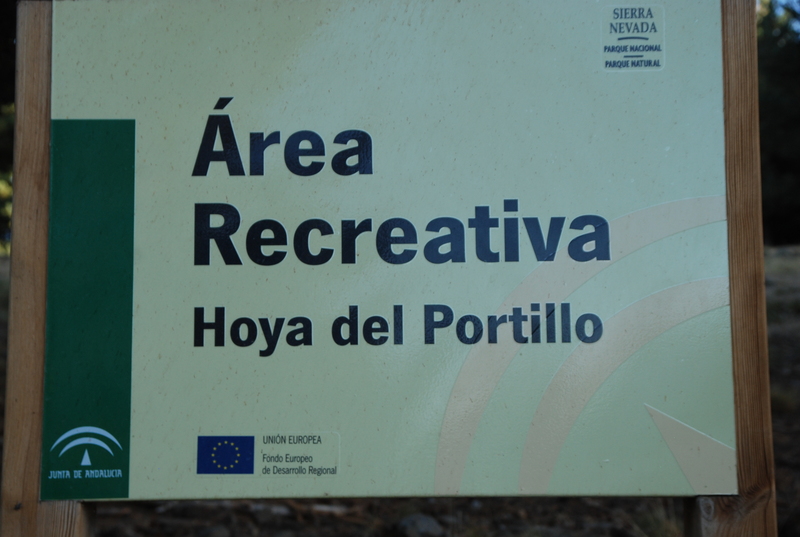 We leave the car in the square in the higher part of Trevelez and follow the sign to “Siete Lagunas”. 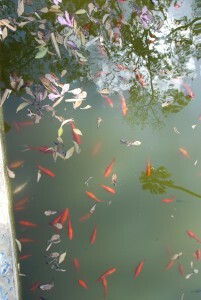 It was still cold and fresh. We only had short sleeve T-shirts and hardly anything else except sandwiches , cameras and each perso with small bottles of water The early morning breeze kisses your skin gently and the smell of wild mint fills the atmosphere with delight and joy . You feel alive and fresh. We start walking and as the gentle path starts ascending we pass several mini falls and a group of cows who are anxiously calling their separated calves from them . One of the them start walking behind us as we it seemed we were going towards its baby. We start walking faster till eventually she decided we were not the Sheppard and stops…what a relief ! 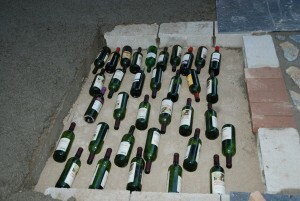 There is no need for much water as the springs are every few hundred yards but our accompanying guests brought with them small bottles of water which they keep filling them during the journey. Leo and I instead bent down and put our lips to the running water and just like two goats drunk from the springs which poured from the hills around us at regular intervals. 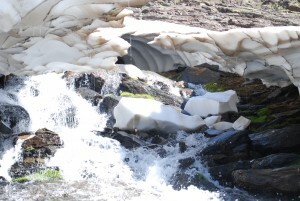 The water is coming from melting snow up above us and is a cold and fresh. After about an hour walk the narrow stoned path gave away to the open hills giving an the early morning sun giving us some magnificent views across the horizon and beyond. The white snow turning into golden peaks. We took many family photos and then continued upwards, this time the young 11 year old Emilio leading the way to Siete Lagunas. 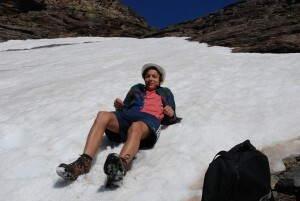 We walked another 3 hours passing through the small pine forest till we reached snow just beneath the peaks of Siete Lagunas. The heat of the summer had created some long tunnels which enormous amount of water running into the tunnel and then disappearing down the valleys and eventually into Trevelez river down below. From here to the Siete Lagunas was hard work. The sun just started getting warmer and our energy was diminishing by second. 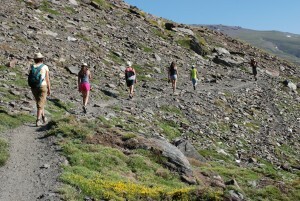 We eventually got to the site lagunas at 12 am, some 5 hours walking from Trevelez. 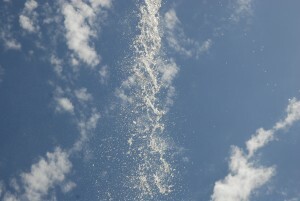 It was a sense of relief and the same time freedom. Being right on the top of the world with magnificent views and fresh water. It was time to celebrate and reward ourselves with sandwiches, crisps and nuts . Soon we were all sleep behind a giant stone sheltering from the cold wind. From here you can keep walking to the Peaks of Mulhacen some hour or so away but we decided to return to Trevelez which took only two hours. We finally got to Trevlez and treated ourselves to some drinks and tapas! we deserved it! 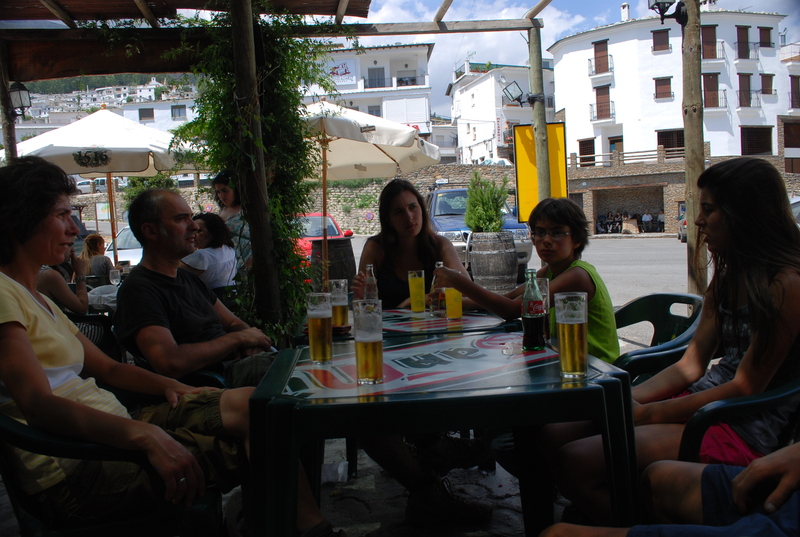 By 3 pm we were rewarding ourselves with tapas and cold beer and drinks in the plaza at lower Trevelez. 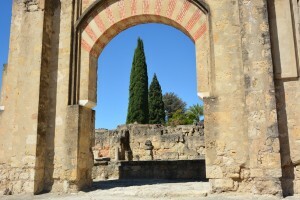 Make sure you make a trip to Granada and see the old parts. 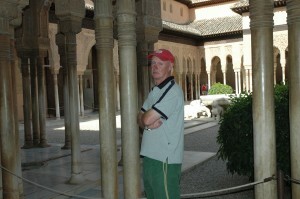 If you are going to see the Alhambra, make sure you leave early in the morning, then leave your car all day in the car park of Alhambra and then after seeing the Gardens, walk down to the old parts ( Santa Ana – take some 10 minutes or so). There are tourist buses on the way up and they come every 10 minutes and the costs one euro each way. For lunch just walk into one of many tapas bars and have a few tapas. Do remember in Andalucía, if you have a drink the tapas comes free with it, so do not over order. Normally Tapas bars close at 4 or 5 pm. During July / August , you will be better off to book in advance your tickets to Alhambra. You can do it online as well. November to March (entrance is restricted to 6,300 people per day). Mondays to Sundays: Open from 8.30 a.m. to 6.00 p.m.
Night-time visits are on Fridays and Saturdays 8.00 p.m. to 9.30 p.m.
(This visit only includes the Nasrid Palaces). April to October (entrance is restricted to 7,700 people per day). Mondays to Sundays: Open from 8:30 a.m. to 8.00 p.m.
Night-time visits are Tuesdays to Saturdays from 10.00 p.m. to 11:30 p.m.(This visit only includes the Nasrid Palaces). 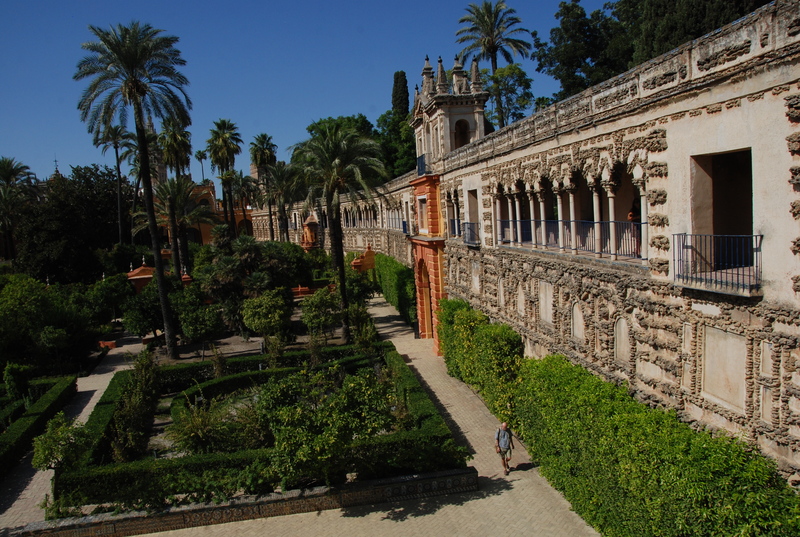 The time of your access to the Nasrid Palaces is printed on the admission tickets. You will have no access to the palaces at another time and the tickets will not be refunded. Alhambra Palace, or the Red Castle, in Granada, Spain contains some of the world’s finest examples of Moorish architecture. € 14.30 (standard ticket), €10.30 for EU senior citizens (65+) and students, €9.30 for disabled visitors and children aged 12-15 and free entry for children under 12. 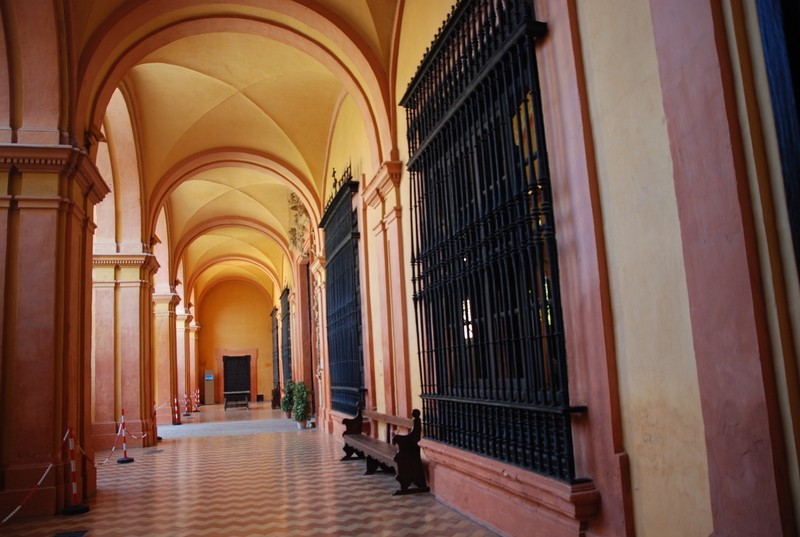 Night visit to the Palaces: €9.30 (general ticket), free entry for children under 12. These tickets are only valid for the day of purchase of the ticket. Tickets can be acquired in the ticket offices or in the automatic machines located in the Access Pavilion in the Alhambra. Tickets can be sold out in advance so availability is not guaranteed. In high season, weekend, etc, arriving earlier to the tickets office is recommended due to possible long queues. Call 902 888 001 if you are in Spain or +34 934 923 750 from abroad. Again, pick up your tickets from the Alhambra Ticket Office (where it says Retirada de Reservas). Bring the same credit card that you used to make the booking. Plus connue pour son eau à la bouche jambon cru, jambon serrano, le village de Trevélez est le plus élevé en Espagne continentale, à 1.476 m. Son air pur de la montagne est idéal pour le séchage du jambon au goût sucré, qui possède sa propre Appellation d’Origine, même si ce n’est pas aussi cher que jambon de Jabugo dans la Sierra de Aracena. Essayez vous-même à l’un des nombreux bars Trevélez, qui ont jambons suspendus au plafond. 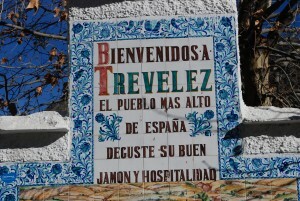 Trevélez est un village dans la province de Grenade, en Espagne et avec sa population d’environ 800 reste l’un des villages les plus populaires autour Alpujarras. Le fleuve Trevélez traverse le village. 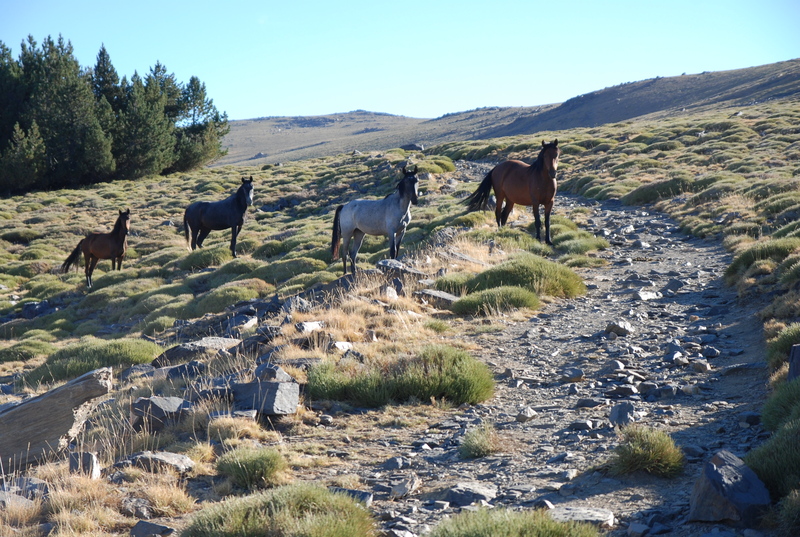 Ils sont situés dans la partie ouest de la région des Alpujarras. Deux des plus hautes montagnes de l’Espagne, Mulhacen et Alcazaba (Sierra Nevada), sont juste au nord du village, à quelques heures de marche. Cortijos Rey Fini (www.cortijosreyfini.com) est à seulement 3 km avant d’arriver au village. Situé à la tête de la encaissée et spectaculaire vallée de la rivière Trevélez, la population du village d’environ 800 est divisé entre trois quartiers: bajo, medio et alto. La partie inférieure, Barrio Bajo, sur la plus touristique de trois, et la plus grande concentration de boutiques d’artisanat, des bars et des lieux de séjour. En dehors de son monde célèbre Jambon, Trevelez abrite l’une des plus grandes fermes de chèvre bio et fromage. La ferme qui fait partie de plusieurs fermes (cortijos) est connu sous le nom Cortijos Alberquilla situé à environ 4 km de Trevelez. Les visiteurs sont invités à visiter la ferme, le goût et le fromage achat. Dans un jour de marché presque certainement vous verrez le Van blanc avec le nom des Cortijos vendent leurs fromages. Si vous allez à la fram faire demander au propriétaire (Antonio) pour vous montrer autour. Le village est divisé en trois parties, la Bajo Barrios, Medio et Alto (quartiers du bas, moyen et supérieur), à 200 mètres de différence d’altitude entre les points les plus élevés et les plus faibles. Le seul pont sur la rivière est dans le Barrio Bajo. 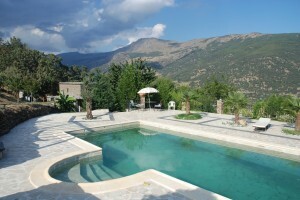 Le Barrio Bajo est un centre touristique important, tandis que le Medio Barrios Alto et sont plus généralement Alpujarran dans le style, mais le tourisme est important pour l’économie de tout le village. A l’ouest, le village le plus proche est Busquístar qui est d’environ 4 km du centre Cortijos Rey Fini. Si vous voulez faire de la randonnée sur les sommets du Parc National de Sierra Nevada, Trevélez est un excellent point de départ d’une piste bien tracé qui mène du village. Il est également le point de départ pour des excursions à Las Siete Lagunas, impressionnant de sept lacs glaciaires fixées dans les montagnes. Pour un court promenade, prendre la route à côté de la station de police qui traverse la rivière Chico de Barrio Medio. Cela conduit à l’ère de la Cruz, une ancienne aire de battage d’où il ya une belle vue sur le village et la vallée. Si vous souhaitez en savoir plus sur les promenades s’il vous plaît consulter notre site Web au titre des activités et de la marche. La más conocida por su delicioso jamón curado, jamón serrano, el pueblo de Trevélez es el más alto de la España peninsular, a 1.476 m. El aire limpio de las montañas es ideal para el secado del jamón de sabor dulce, que tiene su propia Denominación de Origen, aunque no es tan caro como el jamón de Jabugo, en la Sierra de Aracena. Pruébelo usted mismo en cualquiera de los muchos bares de Trevélez, que tienen jamones colgando del techo. Trevélez es una aldea en la provincia de Granada, España, con una población alrededor de 800 sigue siendo uno de los pueblos más conocidos del Alpujarras. El río Trevélez fluye a través de la aldea. 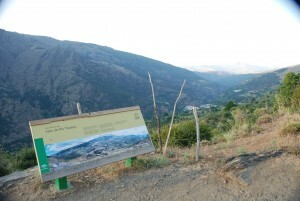 Están situados en la parte occidental de la región de las Alpujarras. 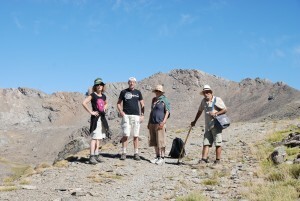 Dos de las montañas más altas de España, Mulhacen y Alcazaba (Sierra Nevada), se encuentra al norte de la aldea, un par de horas a pie. Cortijos Rey Fini (www.cortijosreyfini.com) está a sólo 3 kms antes de llegar a la aldea. Situado en la cabecera de la empinada cara y dramático valle del río Trevélez, la población de la aldea de alrededor de 800 se divide entre tres barrios: Bajo, Medio y Alto. La sección inferior, Barrio Bajo, es la salida más turística de las tres, y tiene la mayor concentración de tiendas de artesanías, bares y lugares para alojarse. 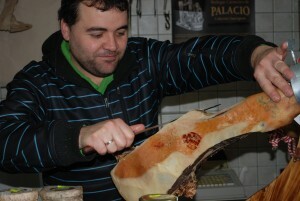 Además de su famoso jamón serrano, Trevelez es el hogar de una de las mayores granjas de cabra orgánico y queso. La finca que forma parte de varias casas de la granja (cortijos) se conoce como Cortijos Alberquilla situado a unos 4 km de Trevelez. Los visitantes son bienvenidos a visitar la granja, el gusto y el queso compra. En un día de mercado es casi seguro que verá la Van blanca con el nombre de los Cortijos venden sus quesos. Si usted va a hacer el fram con el propietario (Antonio) para mostrarme los alrededores. El pueblo está dividido en tres partes, el Bajo Barrios, Medio y Alto (barrios bajos, medios y altos), con 200 metros de diferencia de altura entre los puntos más altos y más bajos. El único puente sobre el río se encuentra en el Barrio Bajo. 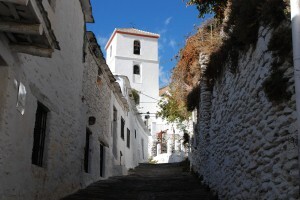 El Barrio Bajo es un centro turístico importante, mientras que el Medio Barrios y El Alto son más típicamente alpujarreño en estilo, aunque el turismo es importante para la economía de toda la aldea. Hacia el oeste, el pueblo más cercano es Busquístar es decir, aproximadamente 4 km de Cortijos Rey Fini. Si quieres ir de excursión a los picos de la Sierra Nevada National Park, Trevélez es una excelente base con una pista muy trillado que conduce de la aldea. También es el punto de partida para los viajes a Las Siete Lagunas, siete lagos impresionantes glaciares que figuran en las montañas. Para un paseo más corto, tome la carretera junto a la estación de policía que cruza el río Chico de Barrio Medio. Esto lleva a la Era de la Cruz, una era antigua, desde donde hay buenas vistas sobre el pueblo y el valle. Si desea leer más acerca de las caminatas por favor consulte nuestra página web en las actividades y caminar. Most well-known for its mouth-watering cured ham, jamón serrano, the village of Trevélez claims to be the highest in mainland Spain, at 1,476m. Its clear mountain air is ideal for drying the sweet-tasting ham, which has its own Denominación de Origen, although it′s not as pricey as jamón from Jabugo in the Sierra de Aracena. 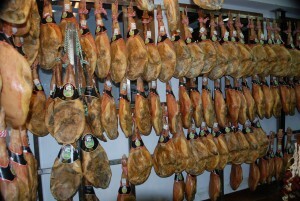 Try it for yourself at any of Trevélez´s many bars, which have hams hanging from the ceiling. 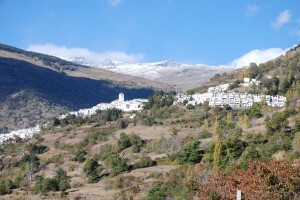 Trevélez is a village in the province of Granada, Spain and with its population around 800 remains one of the most popular villages around Alpujarras. The river Trevélez flows through the village. 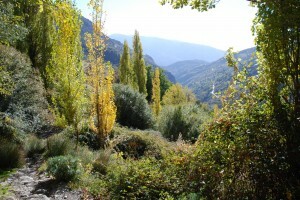 They are located in the western part of the Alpujarras region. 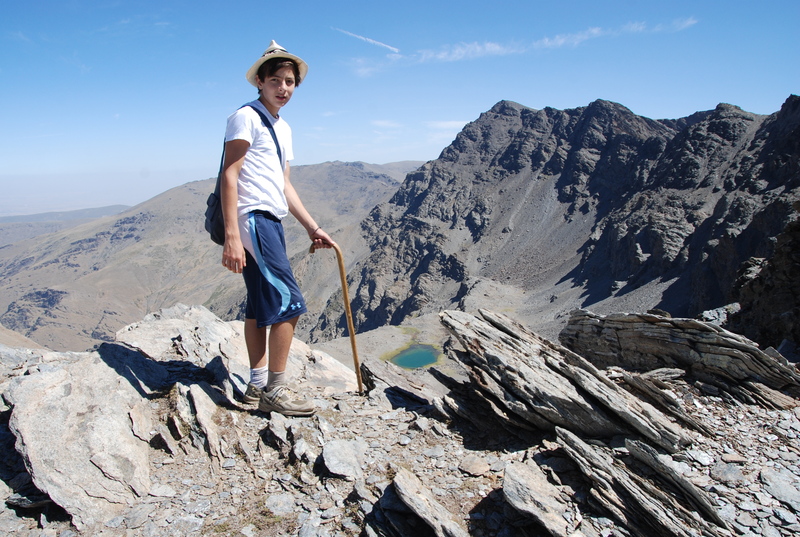 Two of the highest mountains in Spain, Mulhacen and Alcazaba (Sierra Nevada), are just to the north of the village, a few hours walk away. Cortijos Rey Fini (www.cortijosreyfini.com) is only 3 kms before you get to the village. Located at the head of the steep-sided and dramatic Trevélez river valley, the village′s population of around 800 is divided between three barrios: bajo, medio and alto. 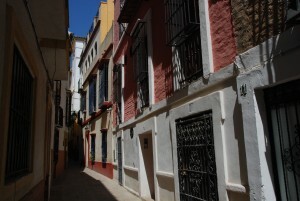 The lower section, Barrio Bajo, is the most touristy out of the three, and has the highest concentration of handicraft shops, bars and places to stay. Among many bars and shops are two brothers who run their shop and bar with the help of father and mother. Apart from its world famous Cured Ham, Trevelez is Home to one of the largest organic goat and Cheese farms. 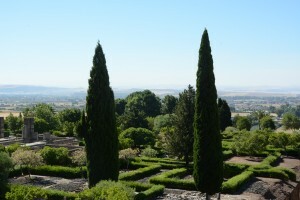 The farm which is part of several farm houses(cortijos) is known as Cortijos Alberquilla located some 4 kms from Trevelez. The visitors are welcomed to visit the farm, taste and buy cheese. 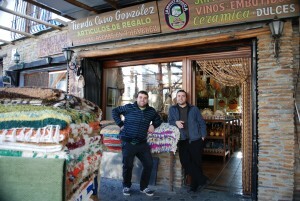 In a market day almost certainly you will see the white Van with the name of the Cortijos selling their cheeses. If you go to the fram do ask the owner (Antonio) to show you around. 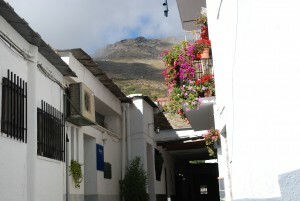 The village is divided into three parts, the Barrios Bajo, Medio and Alto (lower, mid and upper quarters), with 200 metres of altitude difference between the highest and lowest points. The only bridge over the river is in the Barrio Bajo. The Barrio Bajo is a significant tourist centre, while the Barrios Medio and Alto are more typically Alpujarran in style, though tourism is important to the economy of the entire village. 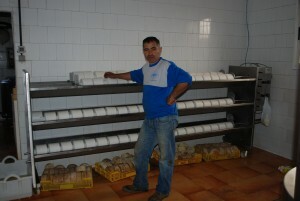 To the west, the nearest village is Busquístar which is approximately 4 kms away from Cortijos Rey Fini. The upper part of Trevelez. If you want to hike to the peaks in the Sierra Nevada National Park, Trevélez is an excellent base with a well-trodden track leading from the village. 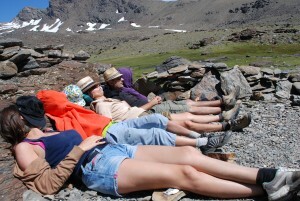 It is also the starting point for trips to Las Siete Lagunas, seven impressive glacial lakes set in the mountains. 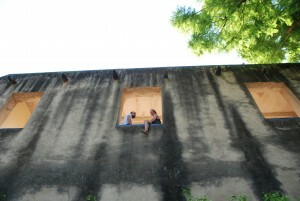 For a shorter stroll, take the road next to the police station that crosses the Chico river from Barrio Medio. 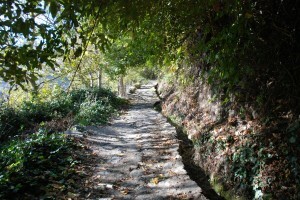 This leads to the Era de la Cruz, a old threshing floor from where there are fine views over the village and valley. If you like to read more about walks please refer to our website under activities and walking. 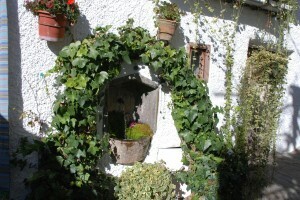 The Cortijos Rey Fini are only 3 kms from Trevelez. 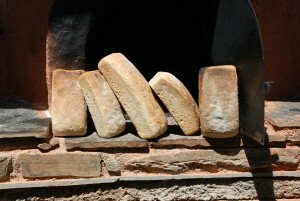 Organic brown flower bread baked in the oven. 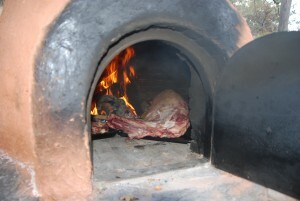 Clay oven the best way to cook meat. 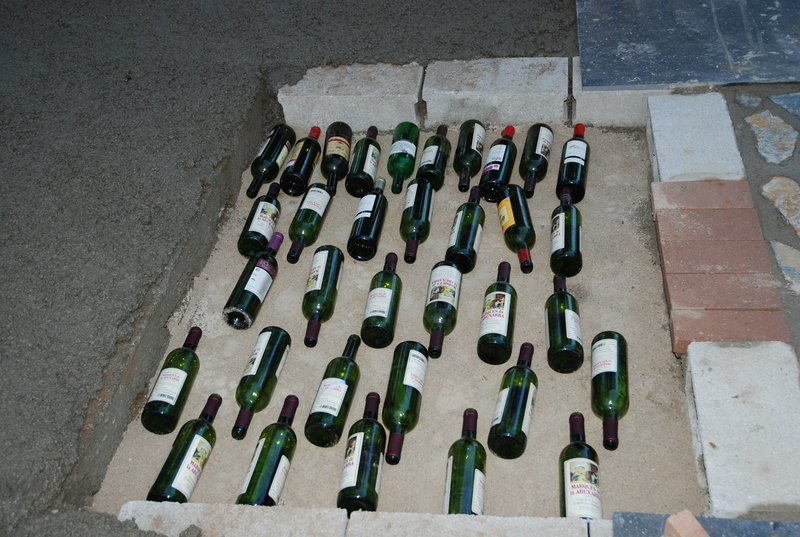 The door and bricks are placed on the top of the bottles which are covered . 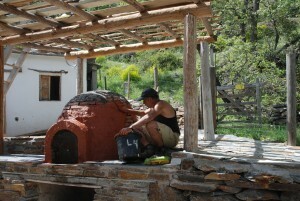 Clay ovens are amazing things to cook pizza, bread, beans, meat ,vegetables..etc. 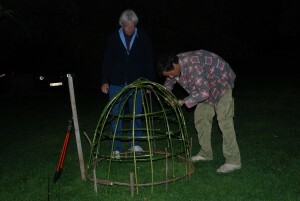 They look incredibly attractive and create a feature in any garden, large or small. 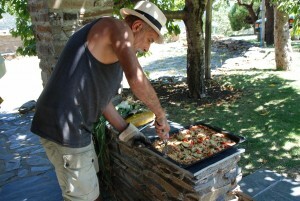 The most important reason for having a clay oven for me though is for cooking. During our stay at our cortijosreyfini.com in Alpujarras, andalucia, Spain, we cook everything in the oven, we recently even put the whole lamb and all the locals loved it. 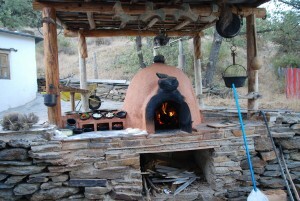 If you have never eaten a pizza cooked in clay oven then now is the time. as I believe – you have never eaten a pizza! Just imagine a thin, crispy, slightly charred base covered in hot melted cheese, olive oil, garlic, sun-dried tomatoes, dried cured sausage, smoked ham, anchovies…sounds good and believe me taste good too! How about loaves of hot bread cooked to perfection, cracked open and smothered in real dairy butter or a large joint of lamb or pork belly cooked slowly with herbs over night in the oven’s residual heat, falling off the bone when you come to carve it the next day. Each summer when we go to our resort in Alpujarras we rent two of the three cortijos to guests often French, Dutch or English and of course we have a special pizza night when all guests are invited to share our pizzas and this has become a rituality that they never forget. 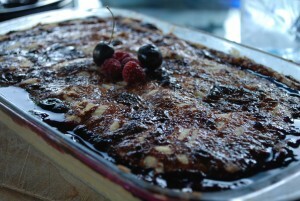 In a normal day, I would light the oven early in the evening with a few small pieces of stick and couple of large logs. this would keep the oven basically warm and ready for action. 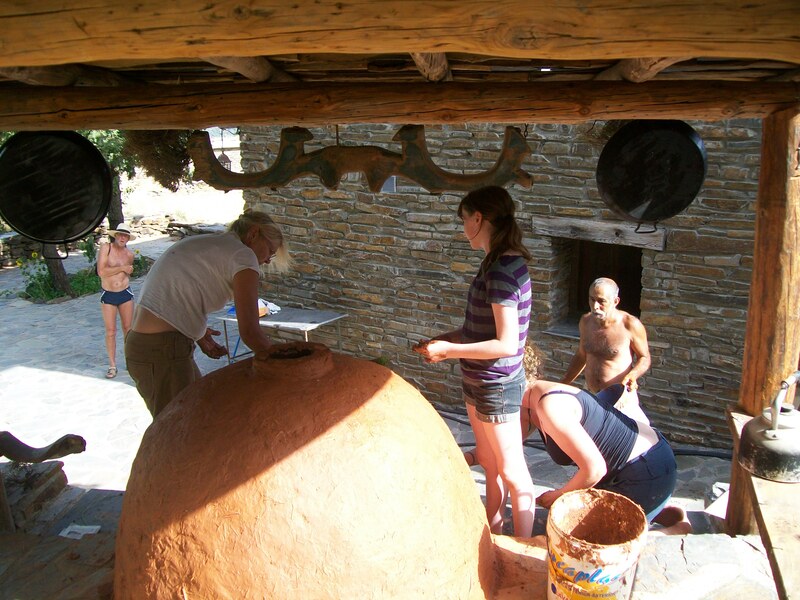 The same time we make the bread dough which we use partly for the pizza and the rest for bread which I often cook in tin baking boxes and also cook several very thin Persian style “nan” that we eat with yogurt or while goat cheese and herbs while the guests are waiting for the pizza to come. We make yogurt dip simply by mixing it with freshly picked cucumbers from our land around cortijos, a bit of garlic and a few cut mint leaves…and believe me it is good…try it!! When it is all done and the guests all gone then our following day breakfast goes in which is white or black beans in our Colombian clay pots water, garlic, salt, pepper and couple of spoon of olive oil all poured into the pot and then I close the oven. It goes out but the heat is more than sufficient to cook the beans overnight. You then have this with a fried egg, Mexican sauce which we also cook in the oven and some fresh bread, then wash it all down with some freshly grounded coffee ! 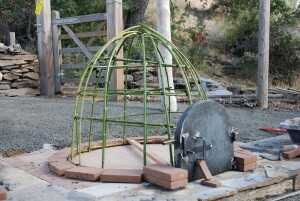 Building your own clay oven is not difficult. 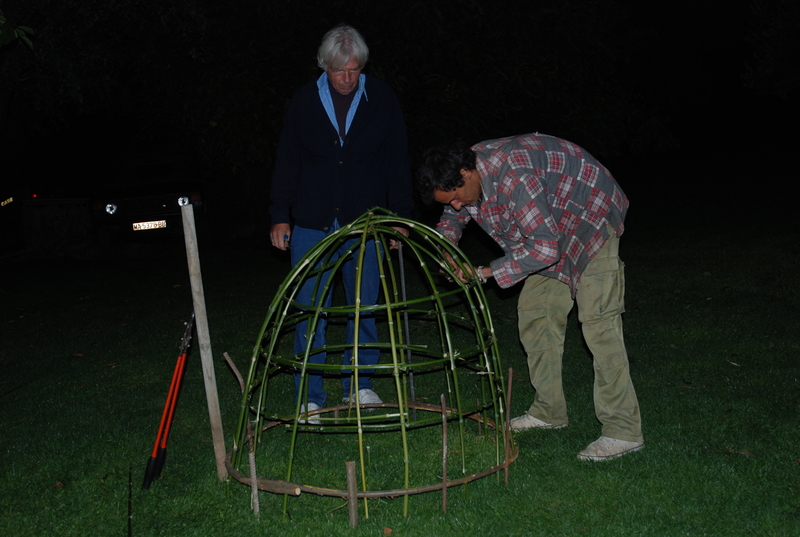 I am by no means an expert when it comes to making clay ovens, but believe me it is easy and fun to make. There are lenty of ways that you can make and you can see and read in internet and youtube. 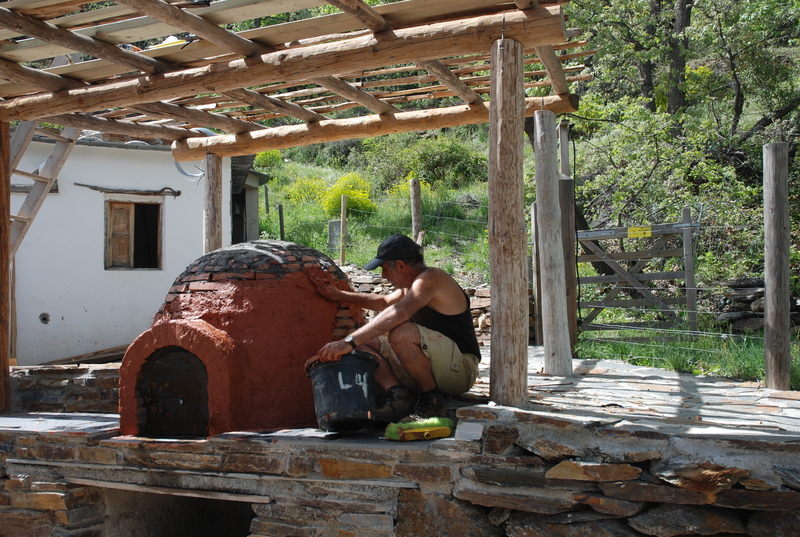 The beauty of building a clay oven is that you use mostly natural and, if you are lucky, recycled or free materials. 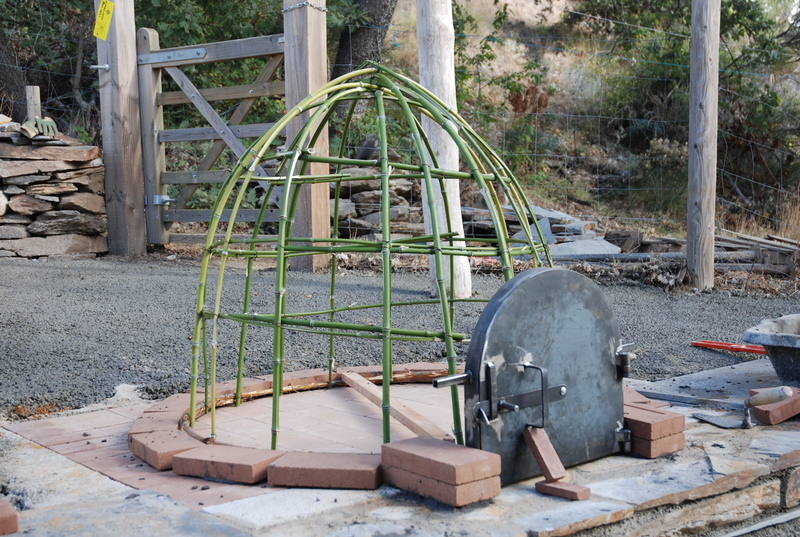 There is something very primeval about building one of these ovens. The process is a direct link back to our ancestors who would have used similar techniques for cooking many millennia ago. I thoroughly enjoyed building it! It is a very physical and tactile experience – you will handle and form every single piece of clay, sand and wood that goes into it and the finished product is something that you will be extremely proud of. The Mayas of Mexico made similar clay ovens and up to today they still do so. Most of indigenous people most |Colombia not only make their food in the oven also use it to fire their ceramic and clay pots. 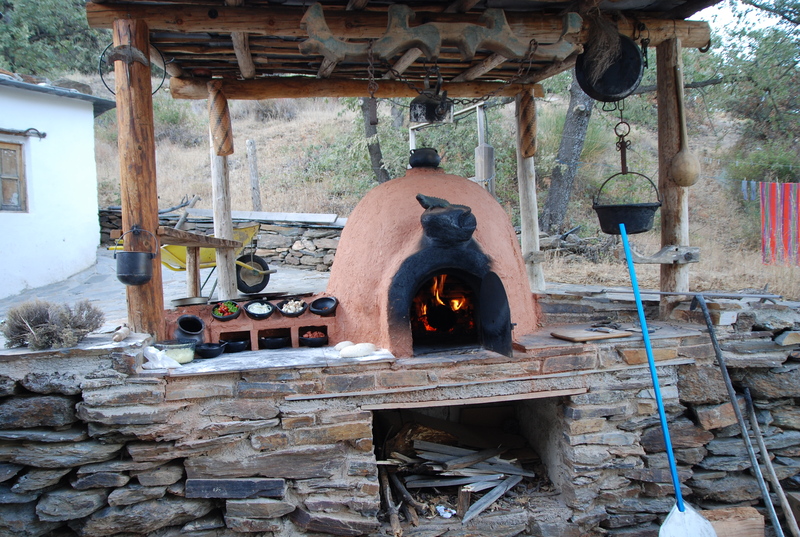 The Indians of the floating islands of lake Titicaca also make small ovens believe or not out of tiny pieces of algae from the lake to make their ovens.. 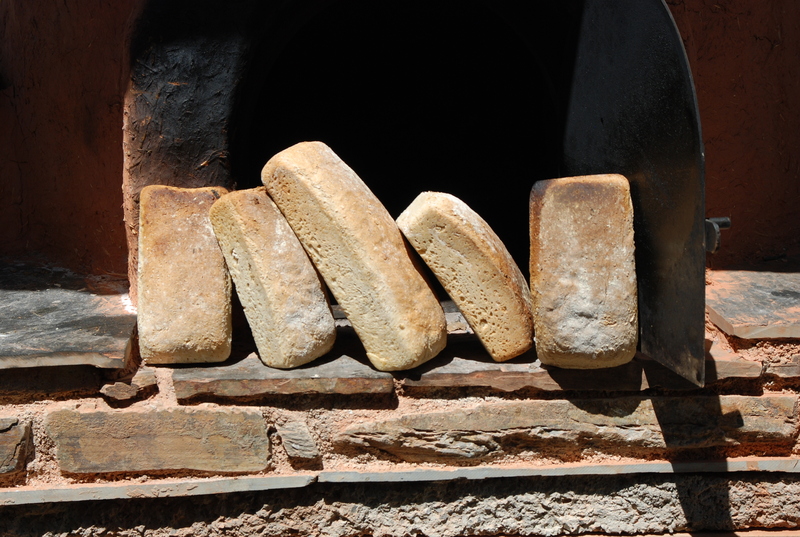 I used all my experiences of over 40 years to make our oven out of fire bricks on inside, clay and hay outside and empty bottles , sand and wood ash below the oven base and it is great and keeps warm some 48 hours after use. Try it and if you have any questions just email me by going to our website www.cortijosreyfini.com and send me your message. Street artist offering Chiba red roses! 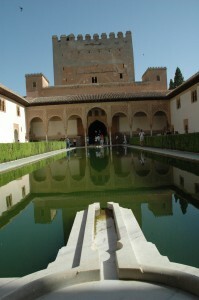 Water features meant a lot to the Islamic world. 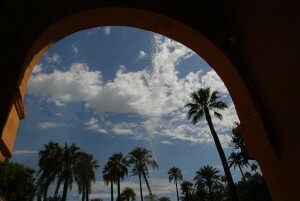 It is the first day of September and the temperatures have already fallen to a bearable degree particularly in Sevilla which from late 40′s have fallen to early 30′s centigrade. 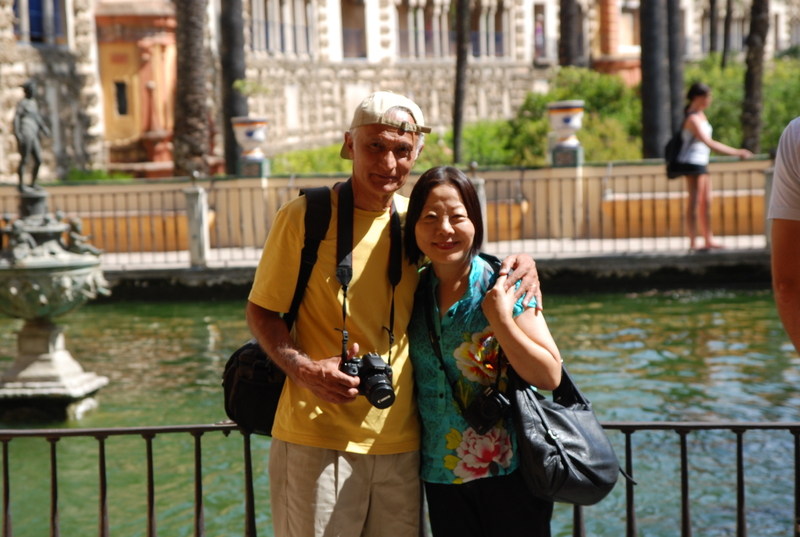 While Lucy and Leo is returning to UK I take our special guest my brother Ali and his Japanese wife Chiba to Sevilla, a 4 hour drive from our Cortijos Rey Fini. 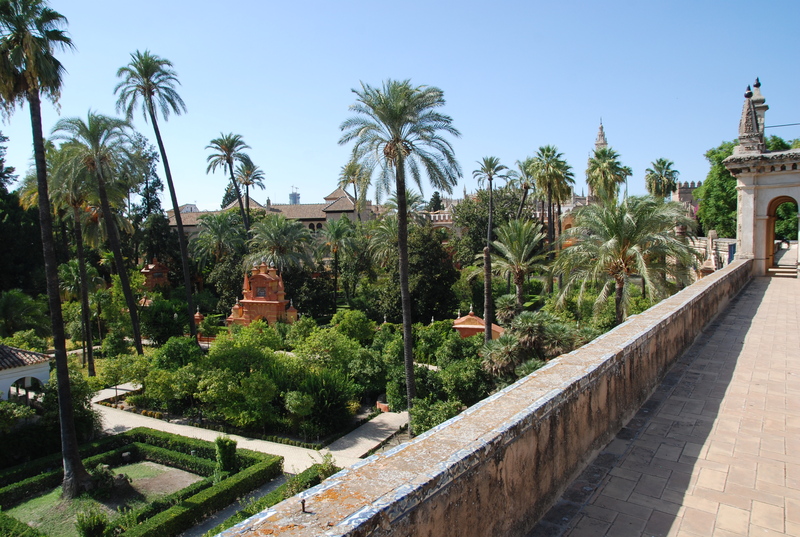 After a short visit to Alhambra’s gardens in Granada we continue our way to Sevilla one of my favourite cities in Europe. 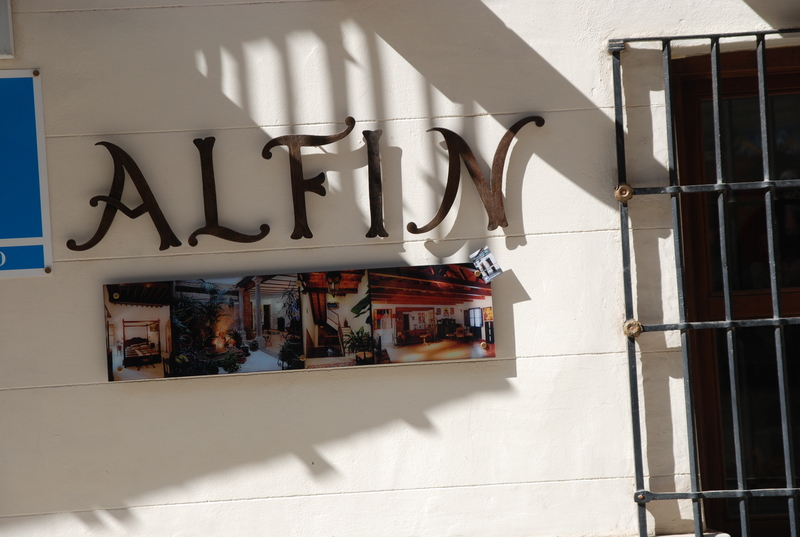 We arrive late to our pre-booked hotel Petit palace Canelaja. The recently modernized hotel is just on the edge of the old city and after getting lost for an hour or so we finally back our car into one way system close to the hotel. After a petit super of Tapaz and wine we resigned for the night into our bedrooms knowing that we have a long day ahead of us. In the morning after a very nice breakfast of fruit and food we wondered to the old city. Though it is 9 am the city yet to wake up to the arrival of the three adventurous and curious travellers from the three corners of the world. Though I have been there various times particularly for my music business as part of WOMEX as well as being part of 1992 expo in Sevilla I still knew very little about this city and the one thing I was sure is that I love the city, its fascinating history, its architecture and of course hot delicious paellas served under orange blossoms in the old part… and not to mention the capital of Flamenco of the world ! 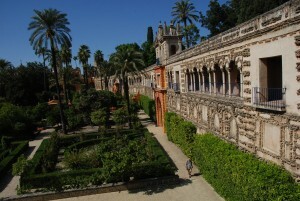 which includes three UNESCO World Heritage Sites (the Alcázar palace complex, the Cathedral and the General Archive of the Indies). 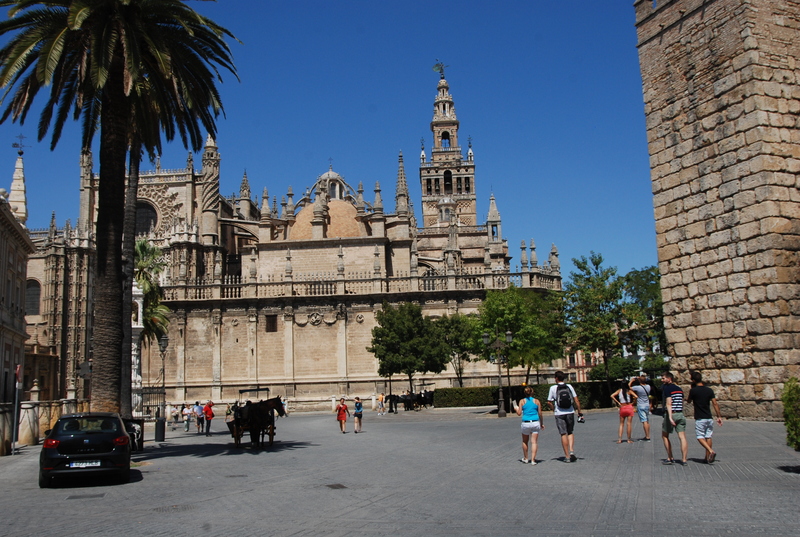 Seville was taken by the Moors, Muslims from the North of Africa, during the conquest of Hispalis in 712. It was the capital for the kings of theUmayyad Caliphate, the Almoravid dynasty first and after the Almohad dynasty (from Arabic الموحدون al-Muwahhidun, i.e., “the monotheists” or “the Unitarians”), from the 8th to 13th centuries. The Moorish urban influences continued and are present in contemporary Seville, for instance in the custom of decorating with herbaje and small fountains the courtyards of the houses. However, most buildings of the Moorish aesthetic actually belong to the Mudéjar style of Islamic art, developed under Christian rule inspired the Arabic style. 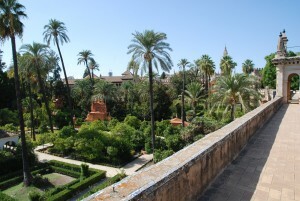 Original Moorish buildings are the Patio del Yeso in the Alcázar, the city walls, and the main section of the Giralda, bell tower of the Seville Cathedral. Eventually we left towards the Jewish Christian and muslin curators with their fascinating architecture Narran alley ways acting like threat in a fine piece of textile connecting all together, a reminder that yes as human beings Jewish, Muslims and Christians can live side by side and happily if and only the politician and other like sacrifice their self- inters and think of the masses and then what a delightful world it will be! once again…. Our evening was spent below blue sky with delicious sea food and white wine and the following day much of the time was spend in the Archive of the Indies. Rather disappointing here even though it has recognition by the world heritage. There is very little information of what they di to the Indians, massacred millions by their swords and killed as much as 3 million by their diseases that brought with them, robbed their gold, destroyed their culture and now how the heart to stand arrogantly on the top of Incas, Mayas and other cultures graves and be proud of their past…once again a reminder of what the ugly world sometime we live in….!! 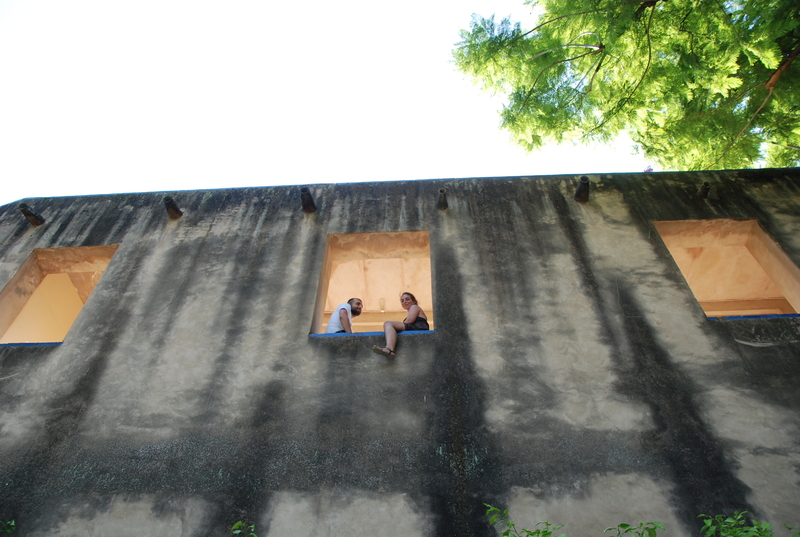 It is an August day and silence rules at cortijos reyfini. After a nice cup of coffee we all set off for a long day ahead of us. We drive down from the cortijos towards Capileira and ten minutes later we turn off toward the camino forestall in the village of Portugos. It is a very windy and dusty road. After about twenty minutes we arrive to the carretera forestall. Ironically we get to the T junction where, if we were to turn right, we would drive directly above our cortijos and onto Trevelez (although, due to a landslide, this latter part is cut off) but we turn left which is signposted zona recreativa which is the road towards the big canyon, waterfalls and Capileira. 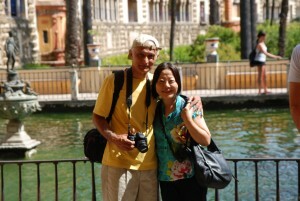 Our friends Geoff and Dee are keen to take photos of the canyon and waterfalls so we stop briefly on the bridge. We then continue for a further 10-15 minutes and continue driving until we reach the half destroyed tarmac road. This is the road which goes from Capiliera to Mulhacen and before UNESCO took over, we could have driven from here by turning right to the peaks of Mulhacen and on to Granada. But this road is now closed and only opened once a year on August 5th for a Christian ceremony held on the peaks of Mulhacen. We turn right here and follow the windy road until we get to the parking area where a chain across the road stops the car from going any further. 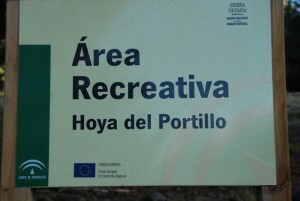 This is called Area Recreative Hoya del Portillo. 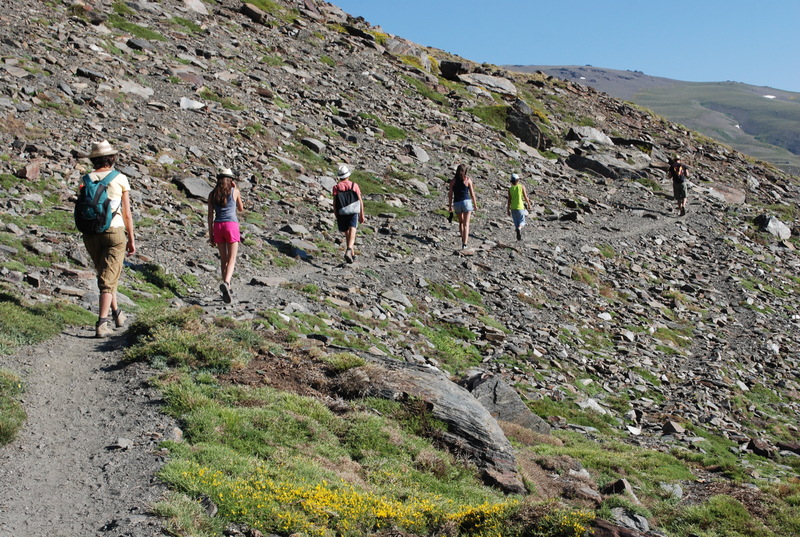 We leave our car here and follow a narrow path which is signposted to Refugio Poqueira 9 km. We follow this path through pine forests for about half an hour until suddenly the forested hills give way to open space. This is Poqueira Valley, a vast area of hills and canyons leading to what seems to be a house some 7 kms away. It takes us 2 hours until we get to a road which is signposted left to the refugio and straight on towards the Laguna Caldera. 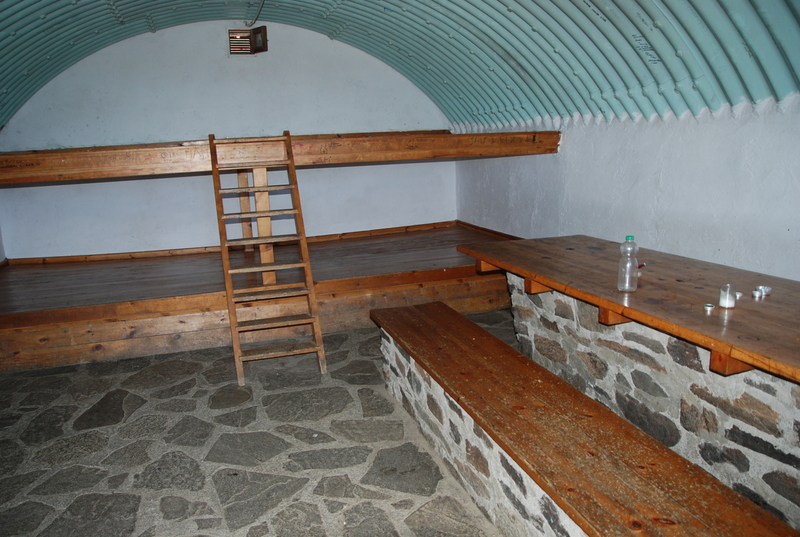 Refugio Poqueira offers beds for those who wish to stay the night but as we are here just for the day we carry on walking until we reach Laguna Caldera half an hour from where we are. 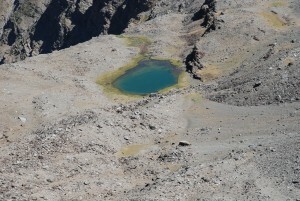 The hot summer plus lack of rain and snow during the year has left most of these lakes dry. 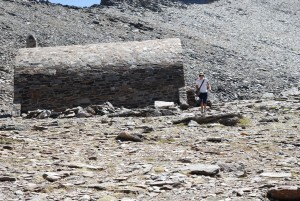 There’s hardly any water in this lake and the beautiful stone reguio Vivac at 3655 metres is a shelter for groups of wild baby goats escaping the sun behind the curved stone house. Leo (our 16 year old son) opens the door and walks in. 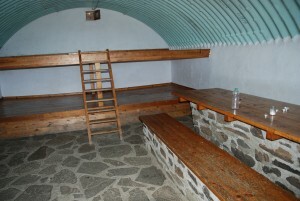 Inside there are 2 flat solid beds with a bar, but of course it is empty but clean. 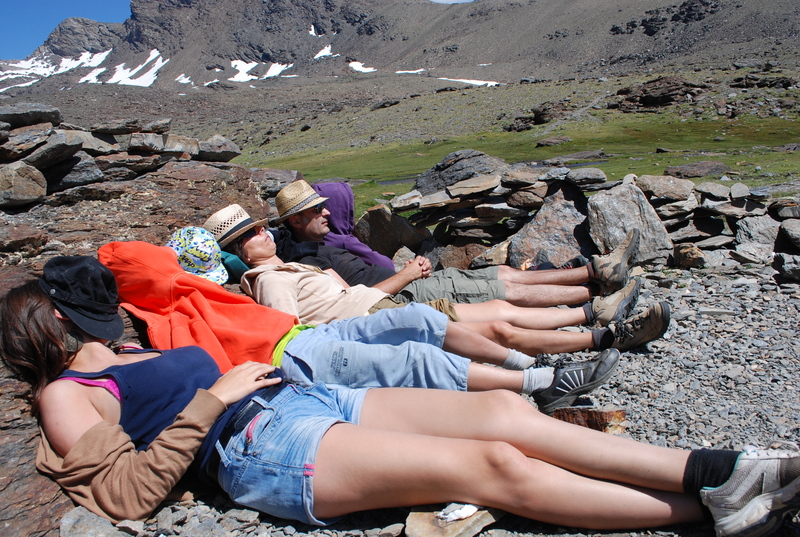 This is a free refuge – no booking required unlike the other refugio poqueira. From here we turn round and start hiking towards what seems the hardest climb of the day. 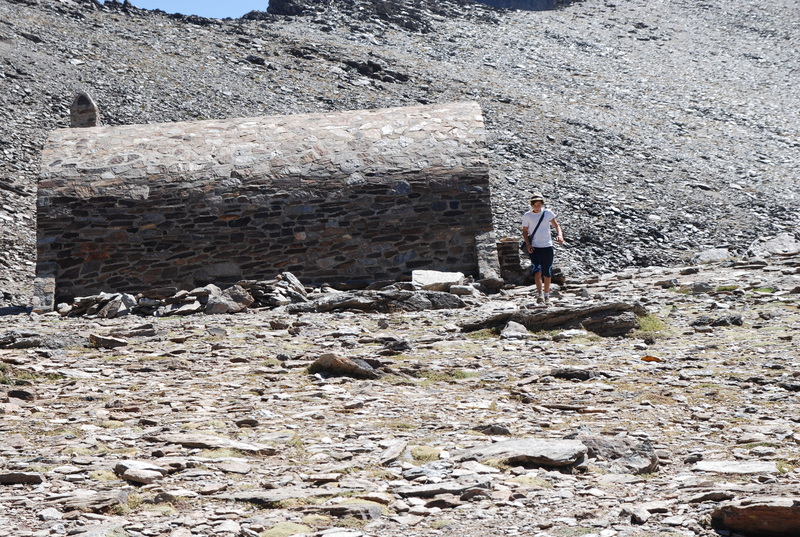 The sheer solid rocks facing the sky some 400 metres towards the highest peak in Spain, Mulhacen. 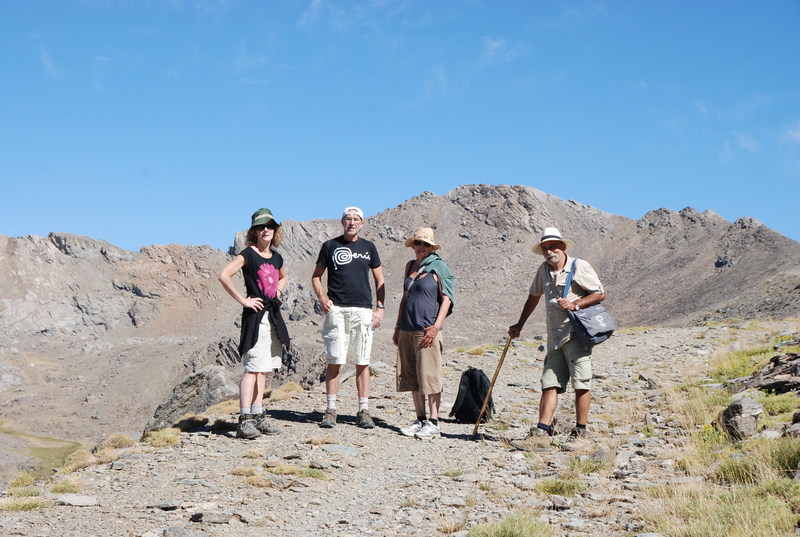 As we walk we get close to the sheer edge of the mountains, suddenly 1000s of feet below you see Granada and just below another Lak” Mosca” and in the distance the second largest peak, Veleta (3394 M) and other high peaks , majestically facing the sky. We reach the peaks of Mulhacen (3483 m) passing several groups of wild goats led by “machos” the male native goat with big horns. From the peaks of Mulhacen feeling exhausted we stroll downwards towards Hoya Del Portillo where our car is waiting for us. It is now 4 pm and we leave “siete lagunas” to our left leaving it for another day and head towards the dusty road on top where the tourist bus is waiting for its passengers. During the summer months this bus comes here having collected passengers from Capiliera. We pass the bus feeling exhausted and cut across the mountain towards the path we took in the morning. 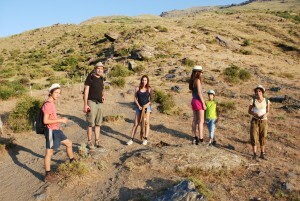 We pass several small springs, horses, cows and the occasional shepherd on horseback with his dogs. 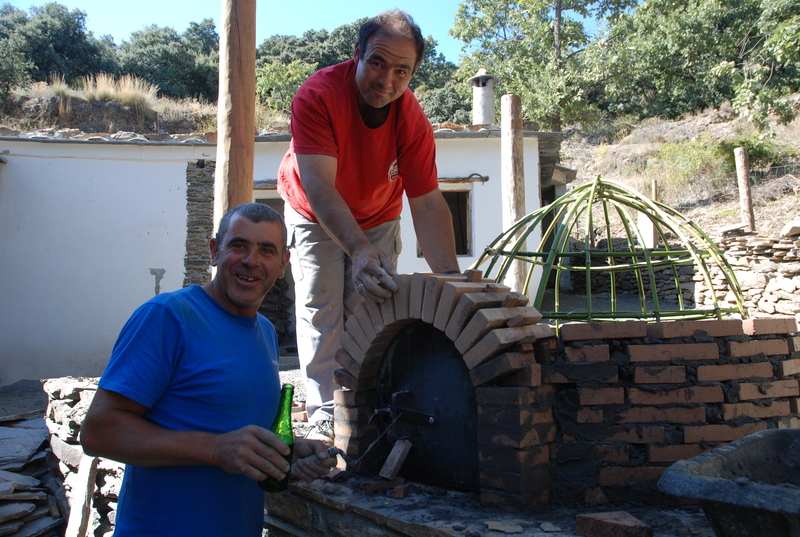 It is now 6 pm as we reach Hoya Del Portillo and drive down to Capileira where we sit in the beautiful garden of Poqueira hotel and finish the day with a well deserved ice cold beer and tapas, served by our old friends Pepe and Paco. 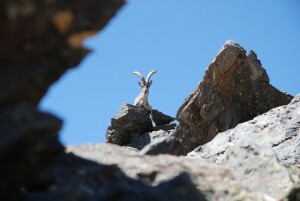 Up in the hight of Mulhacen and sierra Nevada wild male goat is majestically lying on a rock.